One of the best offerings in the Orient Electric’s fans portfolio, the new Orient Wall AC 18 is a true performer that will delight you every time you will turn it on. 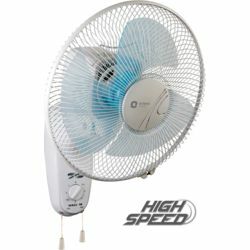 This wall fan features High Torque Gear Box with Safety Clutch for longer gear life and aerodynamic broad blades to deliver more air without making any noise. It also enjoys a spiral guard design that ensures international safety standards. Other highlights include 90-degree Oscillation, ease of changing zone of oscillation through indexed floating system and adjustable upward and downward tilt mechanism. 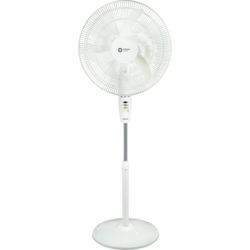 If you are looking for a powerful wall fan for your home, you need not look any further than Orient Wall AC 18. One of the best offerings in the Orient Electric’s fans portfolio, the new Orient Wall AC 18 is a true performer that will delight you every time you will turn it on. 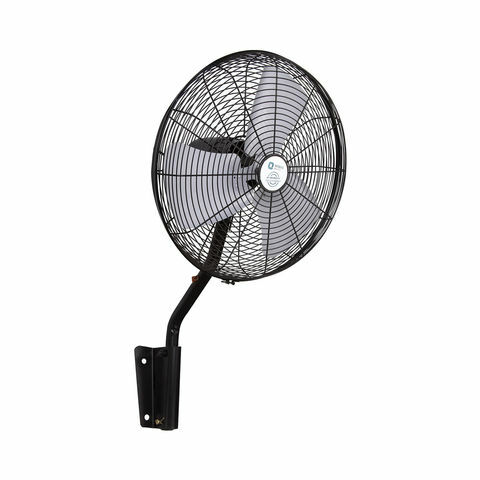 This wall fan features High Torque Gear Box with Safety Clutch for longer gear life and aerodynamic broad blades to deliver more air without making any noise. 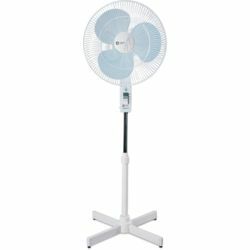 It also enjoys a spiral guard design that ensures international safety standards. Other highlights include 90-degree Oscillation, ease of changing zone of oscillation through indexed floating system and adjustable upward and downward tilt mechanism. 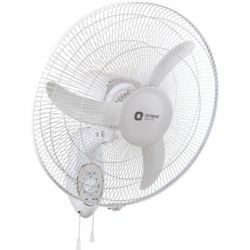 If you are looking for a powerful wall fan for your home, you need not look any further than Orient Wall AC 18.